Sowing Calendula Seeds In Autumn. Big Fat Juicy Bucket Of Calendula ‘Indian Prince’. Calendula are amongst my favourite flowers…and seemingly the bees agree with me. Lovely simple and traditional flowers that just can’t be beaten shown off in jam jars on the kitchen table. 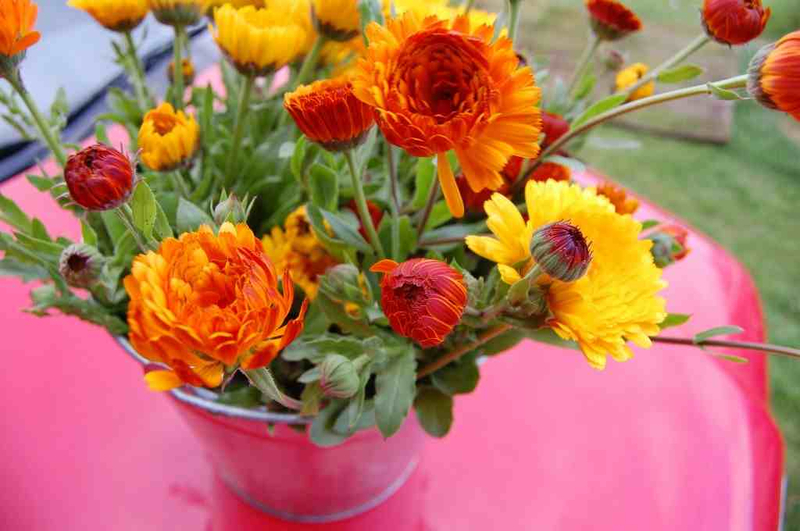 Best of all calendula are super simple to grow from seed. Being that our wonderful calendula chums are hardy annuals we can not only sow them in springtime as is the usual route…we can make a late August and September sowing too. This will give us bigger plants and earlier flowers next year….best not leave it until October however as the soil temperature is dropping fast. 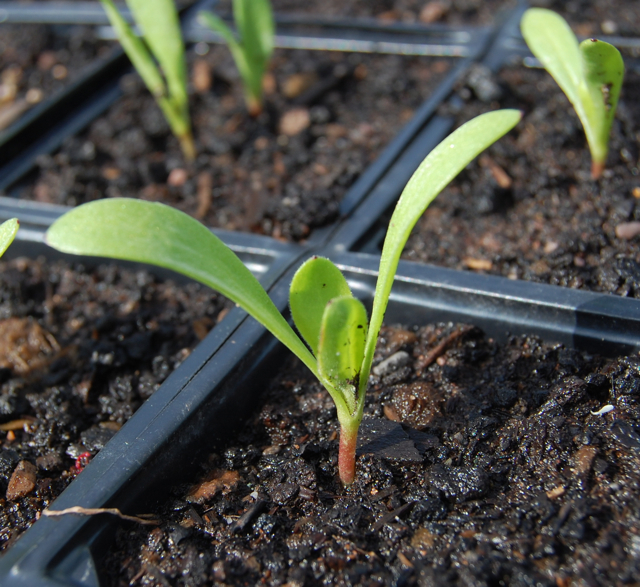 Sowing Calendula Seeds In Autumn: Higgledy Tips! *Sow your seeds in a bed that gets full sun. *Ensure your flower bed is completely weed free and the soil is raked to a fine tilth. *I myself sow in straight rows spaced a foot apart…I usually have three rows in a bed about a metre wide…and as long as I can make it. *In the unlikely event that we have a run of Autumn dry weather, then give your seed bed a water….but generally you will be ok at this time of year. *In the spring thin out your plants to a foot apart. 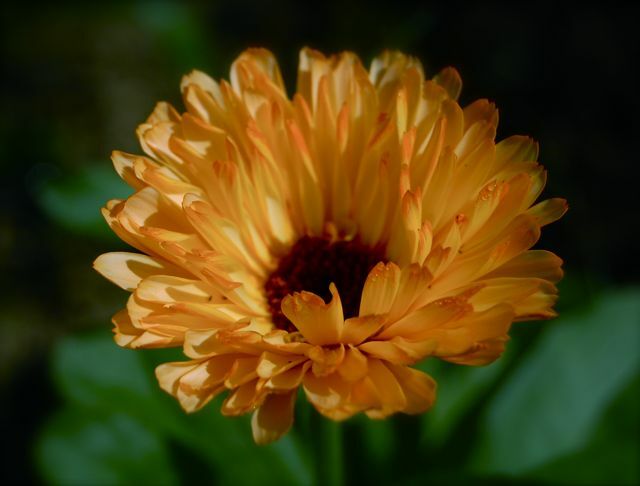 My two favourite Calendulas for cutting art ‘Art Shades‘ and ‘Indian Prince‘….’art Shades’ has more subtle shades and some are positively straw coloured…whereas ‘Indian Prince’ is a very strong lava orange with bright red ‘gills’ when seen from underneath. 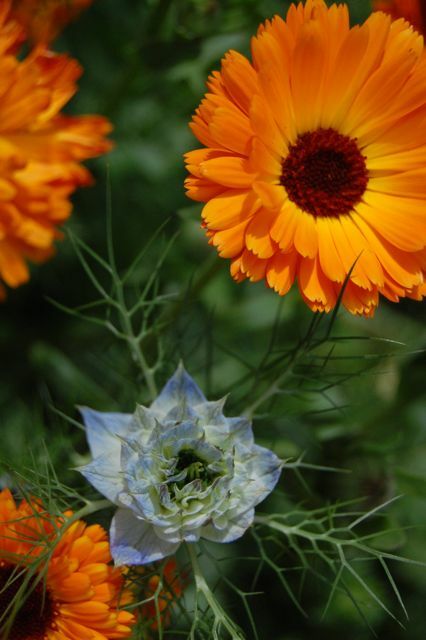 For more top tips on autumn sowing click; ‘Flower Seeds To Sow In September’. Ammi Majus: Autumn Sowings. Godetia: An Autumn Sowing Of Seeds.